Cockroach control is no laughing matter – nor is it amusing when these alarming pests show up in your home. Evidence of even one or two cockroaches could indicate the presence of many more, and your house offers everything a cockroach wants: warmth, water, food, shelter, and great places to nest. Think you’ve seen a cockroach in your house? Opt for cockroach control immediately before problems escalate. 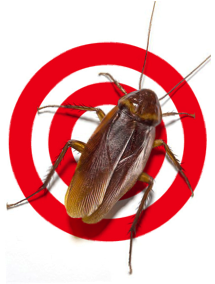 Choose Cockroach Pest Control that Works If you spot a cockroach on the wall or scurrying from the light, reconsider do-it-yourself cockroach control techniques because most of the homeowner available products will make the matter worse. Most of the pesticides available in stores are repellent based and are readily detected by the roach population causing to move and burrow deeper into walls to nest. The cockroach reproduction cycle is amazingly fast, and a single intruder can quickly create a full-on infestation. You are also impacted by your neighbors, and their cockroach problem can quickly become yours. InspectorUSA Termite & Pest Control offers thorough cockroach pest control as part of our Problem Solver Services, uncovering infestations, identifying their sources, and eliminating the problem without the need for long-term contracts. Using Integrated Pest Management(IPM) practices, we not only get rid of cockroaches – we teach you what steps to take to ensure that they don’t return. Call today to schedule your InspectorUSA Problem Solver Cockroach Program.